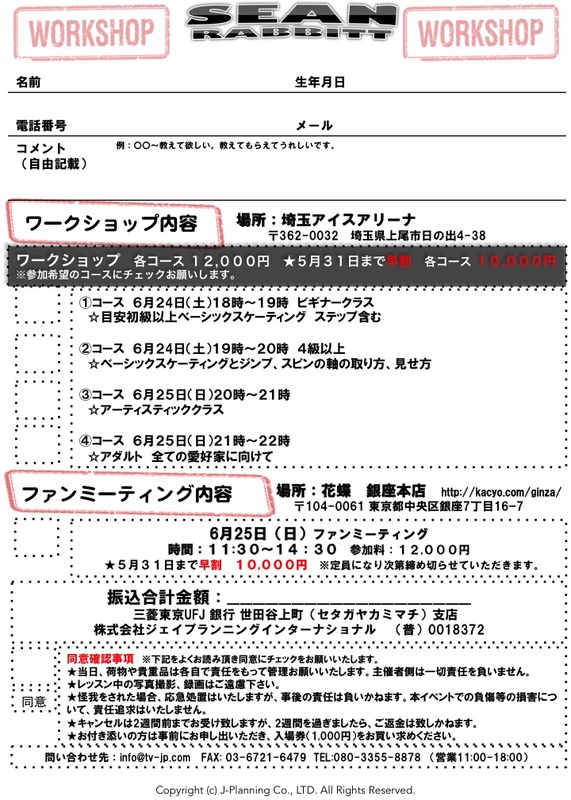 Sean Rabbitt Workshop　ショーンラビット ワークショップ - J-Planning International Co.,Ltd. 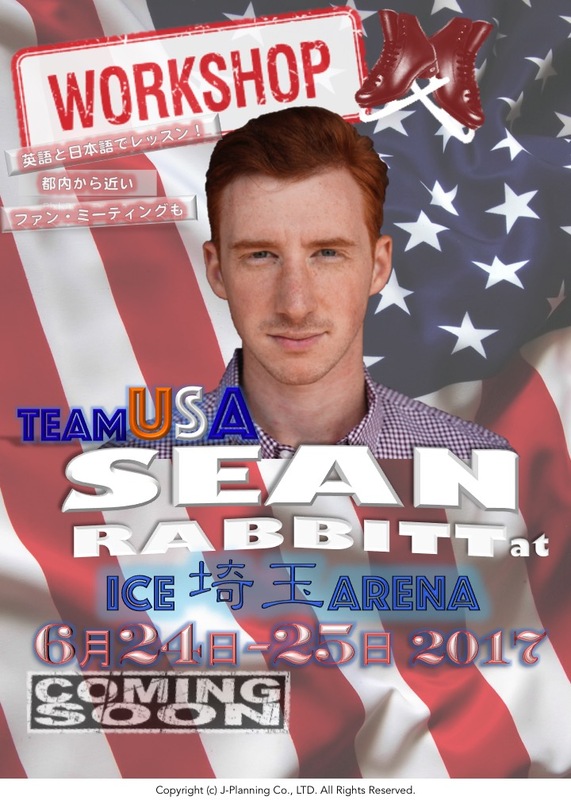 We would like to welcome skaters of all types to enjoy a workshop with Mr. Sean Rabbitt from TEAM USA. 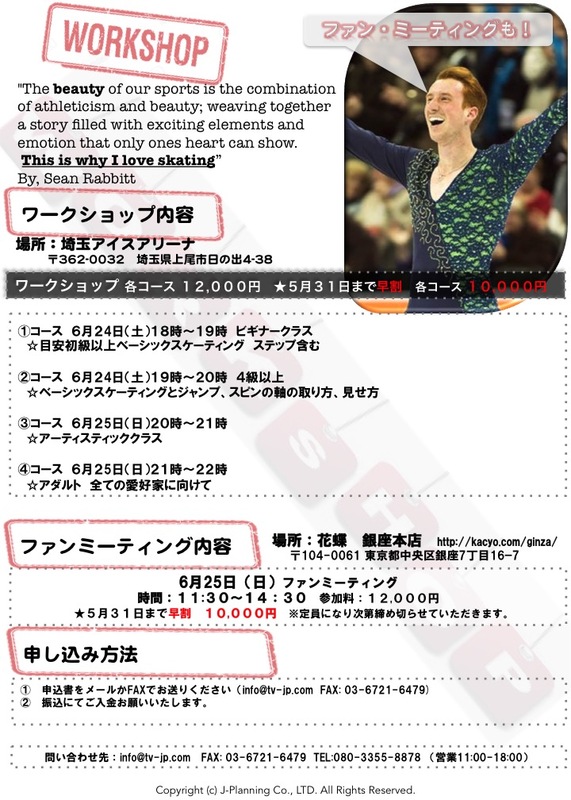 Sean will be here in Japan for the above dates and will be having a couple of workshops here in Ageo, Saitama. Please sign up for your spot and make sure you mark it down in your calendar for an unforgettable experience. We are excited to welcome Mr. Sean Rabbitt to Japan and he looks forward to seeing you in June. If you have any questions please do not hesitate to contact J-Planning International with any questions and we will be happy to answer them for you. Best Regards, J-Planning International Ltd.